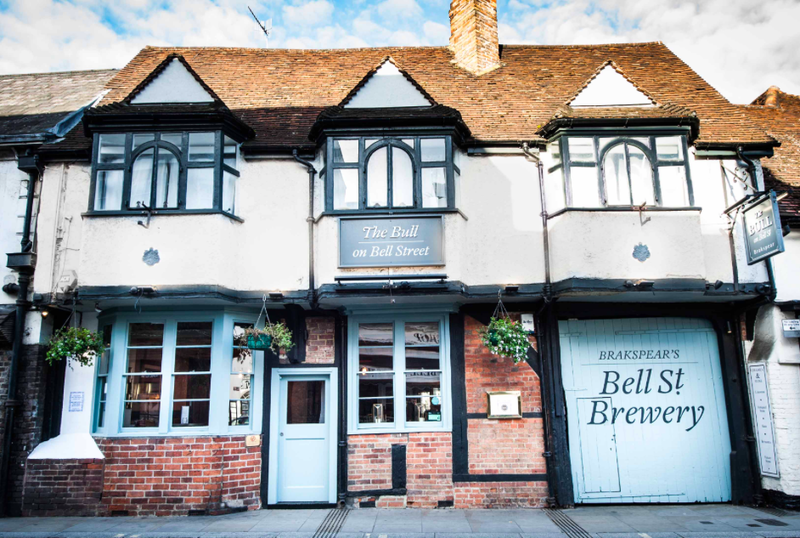 Muddy says: Bar, pub, restaurant, cafe, brewery and delicious in every possible way, this stylish offering by local brewery Brakspear in Henley’s town centre ticks all the Muddy boxes. At over 700 years old, The Bull on Bell Street in Henley is still quite the looker. 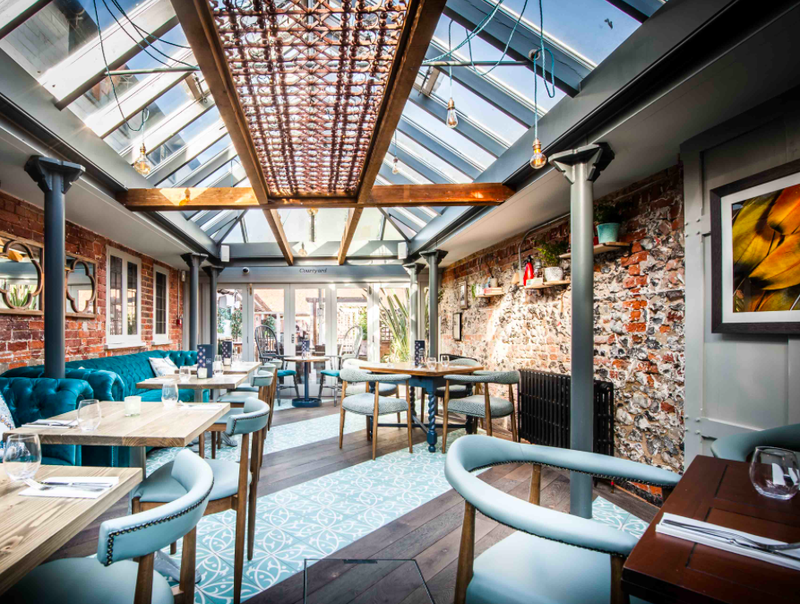 It was given a sympathetic makeover in 2013, retaining its character but updated with a relaxed conservatory, lovely interiors flourishes like the tiled floor, exposed brickwork and the painted wood panelling, atmospheric zoning and a cosy outdoor patio space. I’ve eaten here several times (it’s great), met girlfriends for drinks, even brought my children in and it’s one of those places that somehow ticks all the boxes. Pizzas are a major focus as The Bull on Bell St has a wood-fired oven, so that’s yet another string to its bow. Lest we forget the brewery, you can watch cask ales being brewed from the dining room at the back of the pub – it brews just 8 barrels a week, but that still makes a not-too-shabby 2304 pints! 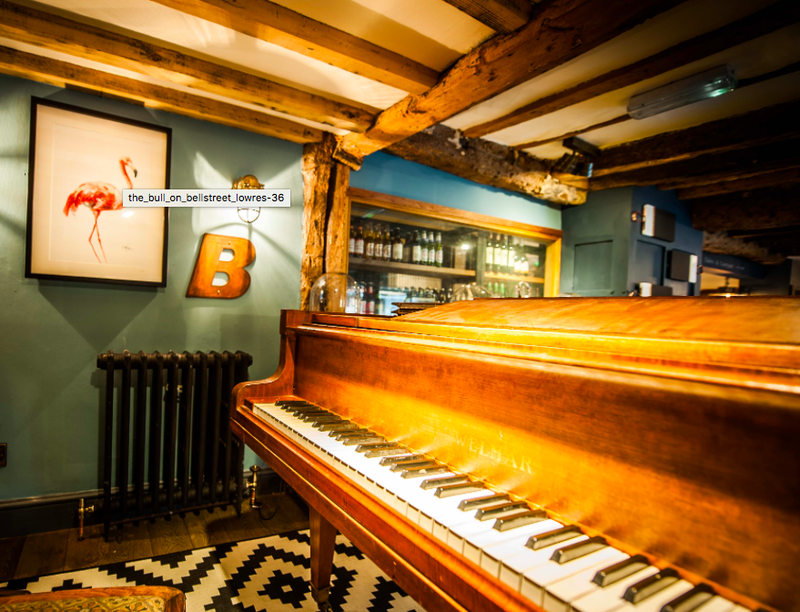 As with most pubs you can hire out The Bull on Bell St, for anywhere from 20-200 people. 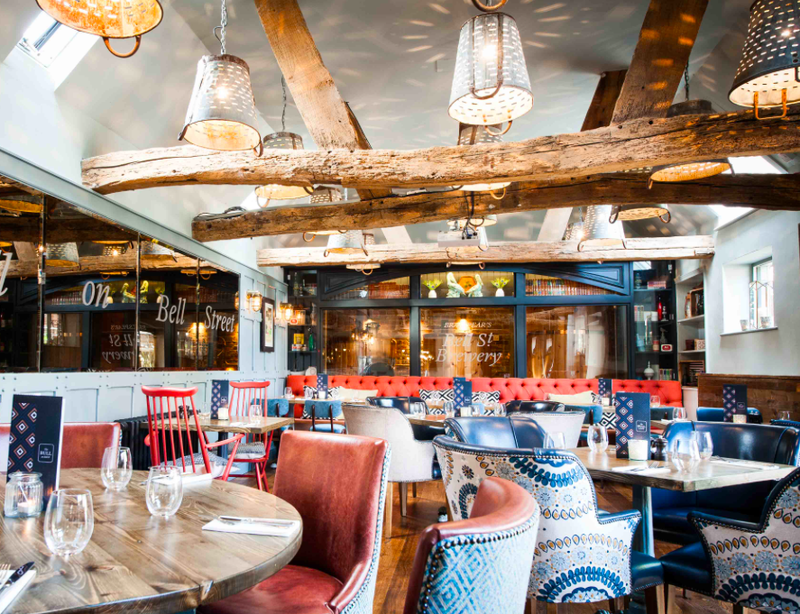 I’d most definitely give it an endorsement on that front – it’s an attractive, characterful space and in sedate Henley offers a welcome slice of style.